Mohammad Rafi is considered to be one of the greatest playback singer that India had ever produced. Right from the early 40s till 1980 when he died, he was the ruler of playback singing in bollywood films. 1960 was a very notable year for Mohammad Rafi. Few of the films where he had sung landmark songs were probably masterpieces. The lyrics and the compositions were the best in the history of bollywood music. For example his song in the film Chaudavi Ka Chand had the landmark song “chaudavi ka chand ho ya aaftab ho job hi ho tum khuda ki kasam lajawab ho” composed by Ravi can be considered as one of the ten greatest songs, Rafi had ever sung. The song was picturized on Guru Dutt. In the same year Dilip Kumar’s song “do sitaron ka zameen par hai Milan aaj ki raat” stands out as a very romantic duet song sung by Rafi. Rafi had sung it with Lata Mangeshkar. It was sung in the film Kohinoor, where lyrics were written by Shakeel Badayani and music composed by Naushad Ali. In the same film the classical song “madhuban me radhika nachere” astonished the audience with Rafi’s classical andaz. Roshan Lal Nagrath reserved his best for the film Barsaat Ki Raat also released in 1960. Rafi’s song “zindagi bhar nahi bhulegi wo barsaat ki raat” was praised by music lovers all across the world. The song was also sung by Lata Mangeshkar. Rafi’s song picturised on Bharat Bhushan while Lata’s one was picturised on Madhubala. Rafi also showed his excellence in the qawali titled “na to karawaki talaash hai na humsafar ki talash hai” where Manna Dey showed his classical skill with brilliance. In 1960, Rafi astonished the audience with the song “zindabad zindabad ay muhabbat zindabad” in the film Mughal-i-azam. The song was picturised on Dilip Kumar and music composed by Naushad. Rafi was brilliant in the film Love in Simla, where music was composed by Iqbal Qureshi. The songs in the films which were picturised on Joy Mukherjee were super hit. Also Rafi’s songs “khoya khoya chand” and other songs in Dev Anand’s film Kala Bazar which were composed by SD Burman became smash hit. Rafi and Shankar Jaikishan combination provided hit film Singapore with Shammi Kapoor and Dil Apna Aur Preet Parayi with Raj Kumar. The songs in all those films were super hit. Rafi sang brilliant songs in Shammi Kapoor’s film College Girl in 1960, composed by Shankar Jaikishan. 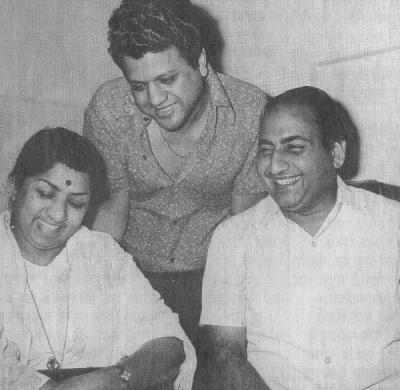 The landmark songs included “hum aur tum aur yeh sama”, “pehla pehla pyar ka ishara”, “kya haseeno ka dil nahi hota”, “Rafi’s songs in 1960 should be restored and preserved. This entry was posted on Sunday, October 23rd, 2011 at 7:15 pm	and is filed under Meri Awaaz Suno. You can follow any responses to this entry through the RSS 2.0 feed. You can leave a response, or trackback from your own site. sunne ke liye .rafi sahhab ne sach kha tha ke. Dhoodhega.aur ye bhi sach kha tha ke . Suno ge geet mere sang sang tum bhi gun gunaoge..
Where can I find a site to download karaoke songs by Rafi, Kishore, Mukesh, Lata, etc There are certain songs by Mukesh & Rafi that are not in karaoke!! These are the ones I want. Please assist me. SHOWER LOTS OF HAPPINESS AND PROSPERITY ON HIS FAMILY. When i linsten Mohammad Rafi Sab, it was spurb, & nice, i see the matronty uncle of Muhammad Rafi near by my home town where Muhammad Rafi passed his early childhood. Rafi was very polite & sympthaic one, and Tycoon of film industry. Yes, Love in Simla was a 1960 film. 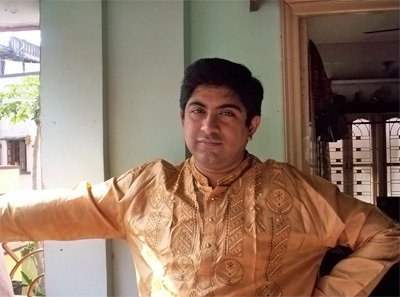 It was produced by Sasadhar Mukherjee, directed by RK Nayyar and music was composed by Iqbal Qureshi. Joy Mukherjee and Sadhna were new faces in the bollywood industry, but the film did good business due to successful songs. Bindiya was also released in 1960 and music was composed by Iqbal Qureshi. I appreciate Souvik Chatterjiji’s energy and enthusiasm. I am not writing about this article only. I am making a general observation and hope he would take it in the right spirit. He should appreciate sometimes less is more. One should not be in a hurry to publish. This article has two minor mistakes which could have been easily avoided but for the hurry. ‘should be restored and preserved’ is good and we should do that. But we should also inform correctly to the possible extent. I always wish somebody would suggest not me.But finally I am compelled to write. “zindabad zindabad ay muhabbat zindabad” was not picturised on Dilip Kumar. ‘Love in Simla , was it a 1960 film? ‘Bindia’ could have been a better example if one wanted (music by )Iqbal Qureshi. I feel I am biggest fan of Rafi and want world to acknowledge that But as I am working with today’s generation people They are not aware of Rafi work. They ask me why is he not in media like kishore is. That is where i feel we need to work His contribution to Indian music is unparalleled . He has inspired a lot os new generation singers like Shabbir kumar ,Mohd Aziz, Sonu Nigam. all of them started their careers singing Rafi songs. Never ever has any singer inspired a lot of new singers like Rafi has .For his contribution to Indian music he deserves Bharat Ratna. Rafi sahib got the first filmfare aware for the song “Chaudvin ka chaand ho ya aftaab ho”………………. and then was featured / nominated 25 times for filmare awards. Manna dey sahib always has high respects for Mohd rafi saaheb. I an interview for an upcoming rafi biography manna de has wished that when he leaves this world, mohd rafi songs must be played. they had high respects for each other and rafi sahib treated manna dey as his senior n the singing world. Souvik sir, I very good write Up . Bit i want to know we are just talking about rafi saheb what are we doing to spread his work to newer generations. Is it not our responsibility w we see singer having no singing talent rule the charts today and today’s generation do not know Rafi I feel somewhere we have failed . If we failed today future generations will forget him that will be very sad day. we must have some programs on FM channel as most of today generation listens FM . we must some programs of Rafi saheb aired on his songs , on his gentle man image on his various personality aspect should be aired. We see kishore kumar taking lead on that issue his programs are aired but why rafi saheb is not shown to new generations. I feel very sorry and ashamed as we call ourselves Rafi Fan but have we done our duty. pls. ponder over my question. Rafi’s soul stirring Aise tho na dekho from Tenn devian and his lesser heard Mohabat se dekha khafa ho gaye and Jane kaun from Bheegi Raat (composer : Roshan) Mark how effortlessly he breezes through the numbers! Mind blowing!! Nice article u have written.Rafi is and not “was ” like Gary Sobers of cricketing world,all time greatest. Nice write-up. Keep up the good work. if u want to chk these songs pls go on my facebook wall .my name is bela kothari. se hi pataa chal jaayega…. I had mentioned very few songs of great Rafisahab in the year 1960. There were too many and articles after articles could be devoted for them. The reason for pointing out songs like “chaudavi ka chand ho” or “zindagi bhar nahi bhulegi wo barsaat ki raat” was because these songs could come in the list of Mohammad Rafi’s best 100 songs. Many of these great creations did happen in 1960. That was the reason I pointed them out. Besides great creations are known for less number. Great composer Naushad Ali had composed music in only 62 films, but each of them were masterpieces. Famous Roshanlal Nagrath had composed music in only 45 films, they were classic creations. We are blessed Rafi had sung countless number of great songs, which people are still hearing and getting peace of mind. As you say articles can be written Rafi’s each song, because they were so rich in lyrics and composition that generations after generations can cherish them. I can’t trace these songs by Rafi, anywhere. 1. O pagle der na hogi palchhin – kinarey kinarey. 2. Phir aaney laga yaad- Yeh dil kisko doo. 3. Jiyara kasak masak- Anuradha? 4. Kisiki mohabbat mein- Kaisay Kahoo. Can anybody help me find these songs. ekhon chhottu article khoob bhaalo., encompassing rafi sahab in 1960.
the world has lost a lot cause of many factors which played upon due to the nature of a few people at that time. 1) rafi sahab was too simple ( god fearing ) an avataar himself and did not promote himself. ( resulting in that many lesser classics ). 3) music directors were surely biased and curbed rafi sahab umpteen number of times and thus the world lost some more classics. we still have a treasure to last generations and evolutions. rafi sahab will continue to rule the hearts and minds of all living beings. presently he is in the august company of the almighty and his appearance with us was just as a singing avataar.